A team is still a team without a uniting jumper or jersey. A team is made from the bonds among the people within that club. But to wear a jumper that symbolises that club and brings it together in a visual sense is one of the most powerful images in sport. Some examples highlight this. Collingwood supporters would struggle for breath if they lost their iconic black and white stripes. Would the “Old Dark Navy Blues” still be so mighty in another shade of blue? (Remember those ghastly pale blue M & M jumpers!) The red strip of Manchester United? Liverpool? The green and gold of the Brazilian national football team and most Australian teams playing anything. The hearts and souls of the people make the club, but the emblematic face of that club is often the jumper. The following passage comes from AFL Europe as they try to gain donations of used football jumpers from clubs across the world to give to fledgling clubs across Europe to assist them in their journey to create their own strong bonds of identity into the future. 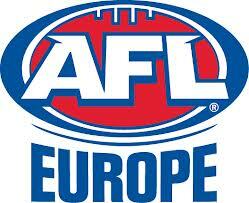 “The AFL Europe Start up Club Program is coming into its 3rd year and has had a great response so far. In 2013, 6 clubs in Europe benefited from the grant and in 2014 a further 5 clubs received the same grant. The aim of the SCP program is to provide assistance to start up clubs across Europe, with the aim of minimising the issues faced with initiating new clubs. Those who are successful in receiving assistance through the SCP will get access to free resources to get their club off the ground. In order to provide resources under the SCP program we seek donations of outdated or unused jumpers from Australian clubs. After receiving 6 applications for new clubs in Europe in February we are looking for additional sets of jumpers to send them. If you currently have a set of unused jumpers or training jumpers that you no longer require please let us know. Through the SCP grant we would pay for the transport of the jumpers to Europe. We hope this process leads to the formation of relationships between your club and that of which receives the jumpers. Not only is it a great opportunity for European clubs to receive resources but it is also a great chance for European and Australian clubs to form international relationships.